Caroline’s questions lead to a discussion about the bringing together of Jake’s world travels in “three or four genres of photography combined together to draw much less certain conclusions.” Her astute observations point to the spirit of several Bad News Books publications. 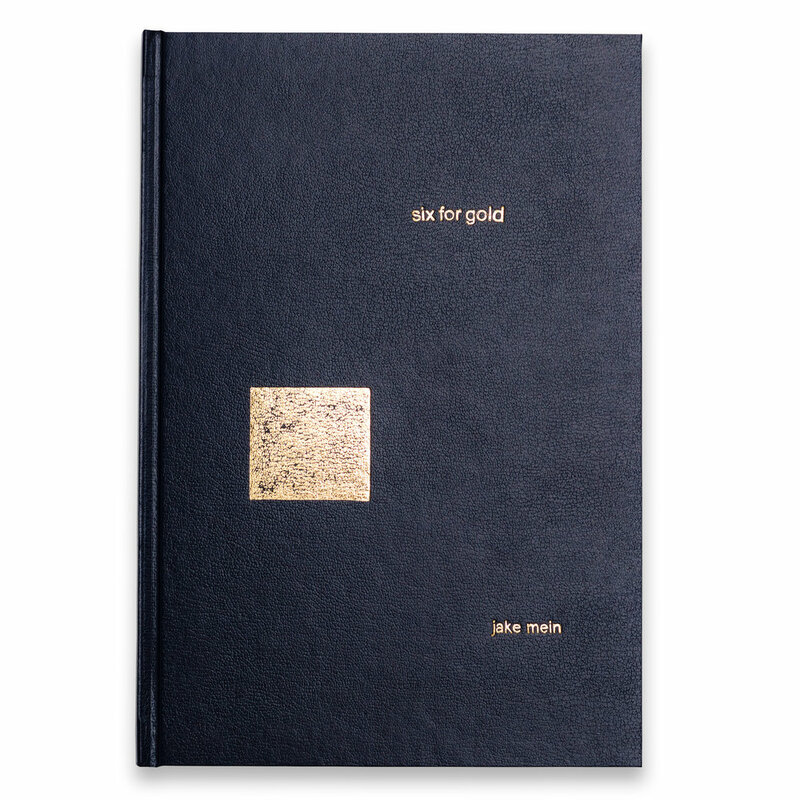 In Six for Gold Jake’s colour images wander the world particularly featuring decontextualized details that hover between symbol and design, portraits of young men and extracts of cityscapes. The poetry of the book, which feels like a young person out looking, depends on the editing and sequencing of contrasting images. The work could almost be a looser, flyaway version of New Zealand’s Harvey Benge who has successfully sequenced disparate images in photobooks since 1993. In Complements, a 2018 New Zealand Photobook of the Year finalist, Michael Mahne Lamb makes the contrast between wildly different images the focus of his work. There’s unity in the portrait shaped images, which extract detail from the world with a strong emphasis on graphic design. But, playing with our need to supply narrative, the paired images offer only shape, associative detail or colour with which to make connections, like the black and white checkered floor paired with an image of a woman’s finger touching a nine of hearts card. It’s a work for those who enjoy a touch of the conceptual in their photobooks. Robyn Daly’s Nothing Ever Happens is an elegantly packaged look at the apparent randomness of the everyday, a work commended in the 2018 New Zealand Photobook of the Year Awards. The smudgy grey images travel unpromising parts of cities, with the occasional foray into nature, playing with our idea of what constitutes a photograph: a man on a sidewalk holding food? A cat on a box? A man in a checkered jersey walking towards steam or smoke? It’s an approach that touches the edges of a work like Paul Graham’s 2007 A Shimmer of Possibility where his treatment of the mundane broke new ground in straight photography. After grazing at the surface of the world, it’s a pleasure to come to Christine McFetridge’s more structured The Winter Garden. Using the idea of Roland Barthes’ ‘winter garden photograph’ and the notion of seeking out familiarity after an event like a death or a change in one’s life, Christine returns home to post-earthquake Christchurch to photograph family, friends and landscape. The images are delicate and intimate, particularly the domestic interiors and portraits of family and friends. 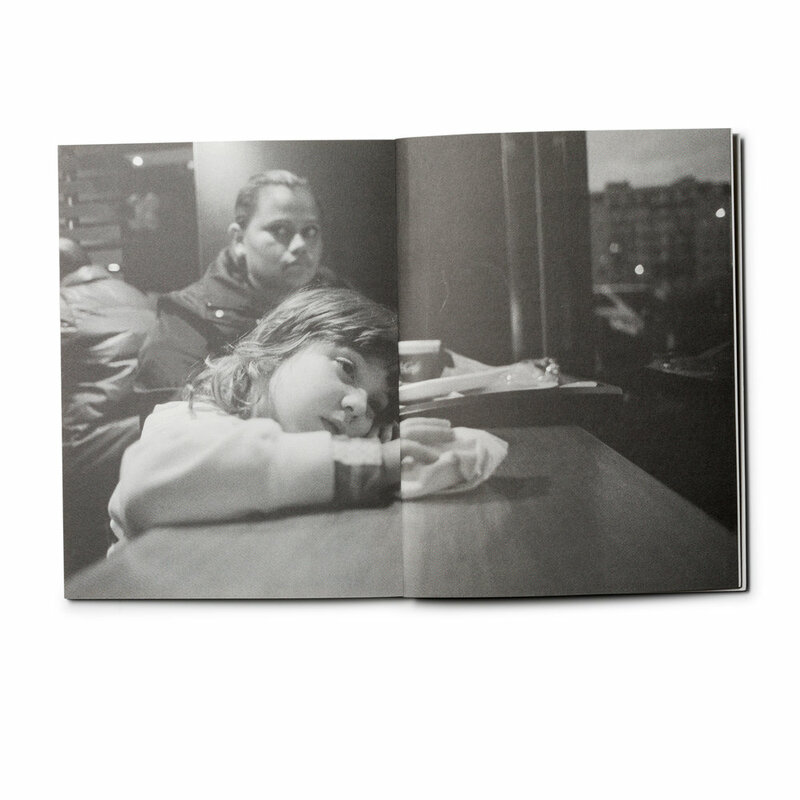 The wide spaces between photographs on the page speak of loss and fragility. The Bad News Books website carries their full range of titles. While many of the short-run limited edition titles are sold out, some re-prints and new publications are in the works. Read an interview with Bad News Books.